1. 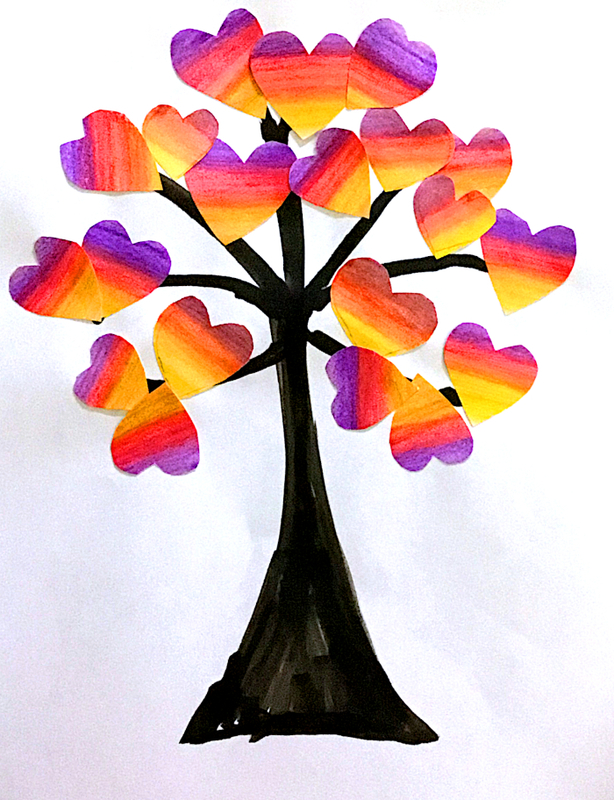 SWBAT create heart trees for valentine's Day. 1 Hand out white card stock to students. Three sheets per student should be enough to complete this project. 2. 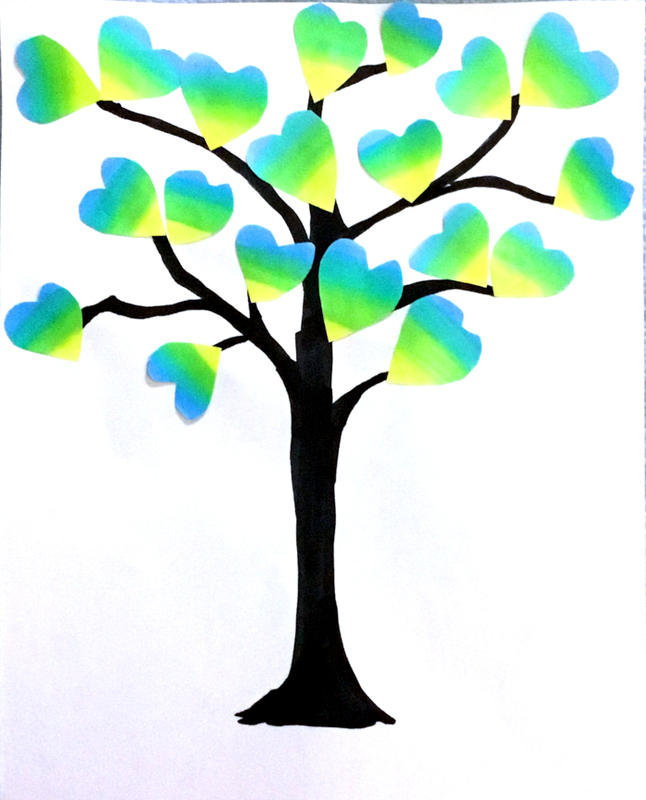 On the first sheet of paper draw a tree without leaves with a black marker. Set it aside for later. 3. With the other two sheets draw a bunch of hearts in pencil. These will be the leaves for the tree. 4. Scribble three colors next to each other on each heart with watercolor pencils, then go over it with a wet paint brush to blend the colors together. 5. After the paint has had time to dry cut out the hearts and glue them to the tree.